This audiobook was a very pleasant surprise. 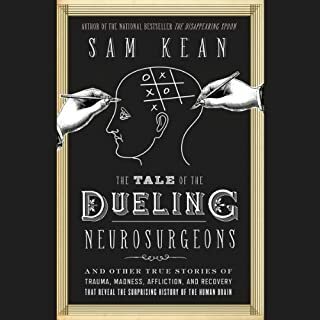 Kean is an expert storyteller, describing some of the monumental cases in the development of neuroscience -- including the gory bits. I loved Kean's saucy phraseology. 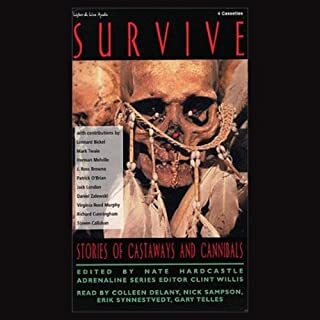 Coupled with Leyva's cheeky and deadpan delivery made this book extremely entertaining; I don't usually pay much attention to the narration, but in this case I think it was an exceptional job. I highly recommend this book if you have any interest in the brain! Computer science is not just about computers and programming; it's about COMPUTATION. And humans are faced with computational problems all the time. For example, how do you decide when you've dated enough and are ready to commit, or how should you organize the papers on your desk to be more efficient? Computer scientists formulate abstract versions of these every-day problems, and try to come up with one-size-fits-all solutions. Sometimes an optimal solution is easy to find. Often not. Full disclosure... I'm a computer scientist and mathematician. 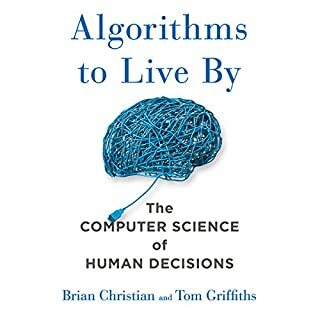 But, trust me, you've already faced many of the algorithms described in this book. I learned a lot, and had fun doing it. If you could sum up Free Will in three words, what would they be? Short and to-the-point. 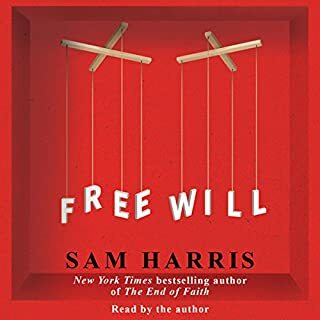 Sam does a great job of illustrating that we do not REALLY have free will, even if we FEEL like we do. If you could give Free Will a new subtitle, what would it be? "The Illusion of Free Will"
My only complaint is that there is no real organization to the book, or his argument. It might help some listeners (readers) if he was more explicit about the argument behind his thesis. Sadly, this book fell well short of my expectations. I was hoping for some real insight into what makes a person tick. Instead, this book was more like a long, drawn-out horoscope. Leman makes little effort to substantiate his claims with objective evidence. I did get a sense of the three basic personality types. However, those personality classes are very difficult to apply. Why? Because his definition of who is in those categories is vague. 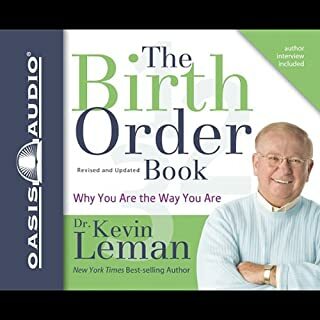 You are a first-born if you are the first girl or first boy in your family, or if your next older sibling is at least 5 years older than you. Similarly, you are a last-born if you are the youngest in your family, or if your next younger sibling is at least 5 years younger than you. A middle child is one who doesn't fit those categories. I have an older sister (15 months older), and a brother who is about 5 years younger. That makes me a first-born and a last-born. But in many ways, I also fit the definition of a middle child. How uninteresting is THAT?! Without a clear picture of what class you're in, the book descends into an arbitrary list of personality types, and my personality spans across all of them. Bleh. I agree with Ryan. 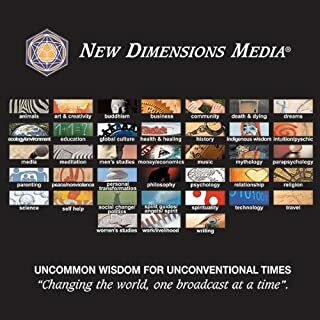 This book seemed like nothing more than a collection of uncopyrighted material taken from writings by people who've gone through hard times. Moreover, parts of it are in old English. Disappointing. Can you handle an argument based around how intelligence and intellect are opposites? Me either. They blame most social problems on the faulty mom/baby bonding perpetuated by hospital births. Yah, Big-Medica is out to get us. They claim that the American child is the most emotionally deprived child in the world. Poor USA. Those tsunami orphans have it so much better. Even though they mention academic papers, this interview strikes me as unscientific opinion. Merely folk psychology. 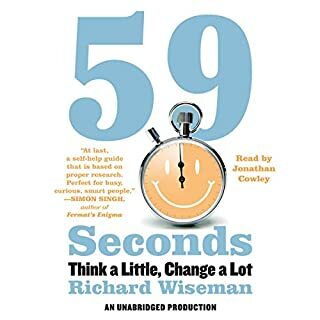 I first heard of Richard Wiseman through the skeptical podcasts and blogs I frequent. And true to the skeptical point of view, this book is based on EVIDENCE. Indeed, evidence is front-and-centre right from the start. Every behavioural suggestion and piece of advice is backed by an experiment (a refreshing change from The Power of Now by Eckart Tolle). That's what separates this book from all the other self-help woo that's out there. 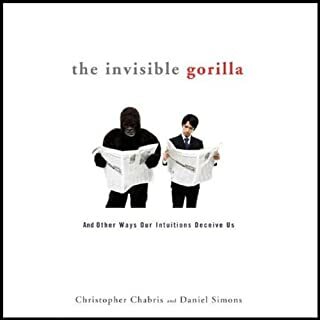 Lots of books make claims that sound intuitive, but reality can often be very counter-intuitive. And this book has lots of examples. Here's one: praising children for their ACHIEVEMENTS can actually inhibit their progress by making them anxious about failure, while praising children for their EFFORT encourages them to work hard and challenge themselves. Hmmm! This audiobook is SO good, I went and bought the hardcover too. This delightful and to-the-point book goes over the necessary material to understand the battle between monogamy and polygamy. It explains how each of the two strategies are evolutionarily advantageous, but also goes over their down-sides. Lots of examples are taken from zoology (gorillas, bonobo monkeys, prairie voles, etc.). Putting humans under the same zoological microscope, a myriad of evidence suggests that we fit the class of "mostly monogamous". The end of the book is a little patronizing, as if trying to soften the news for those who have trouble accepting our biological reality. All-in-all, a great little book. Well worth a read (or listen). This books lays out all the best evidence for evolution in a way that is accessible to the layperson. 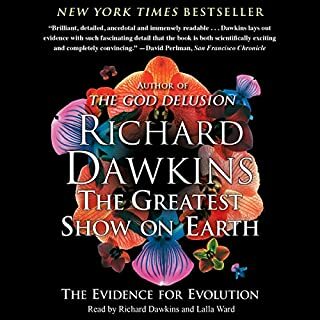 Dawkins makes the point many times that the scientific consensus that evolution enjoys is a result of MANY separate lines of investigation all pointing to the same conclusion. The book even has some of the anti-religious vitriol that I loved in the God Delusion.